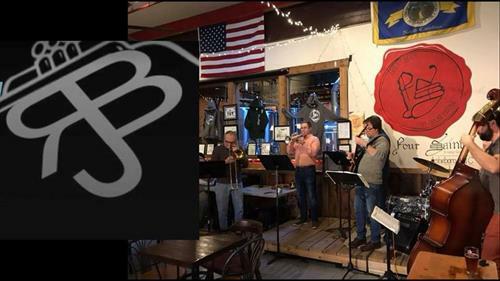 The Randolph Jazz Band is a semi-professional jazz ensemble that regularly performs throughout Randolph County and the surrounding areas. Members of the band come to a wide variety of professions, including music teachers, professional musicians, lawyers, medical doctors, business professionals and college students. The Randolph Jazz Band began as a project through Randolph Community College and its visiting artist, saxophonist Michael Stephenson. The band continues its tradition of educational performances through collaboration with local high schools and middle schools. Other performance opportunities have included large dances, exclusive RJB concerts, community celebrations and retirement community events. The Randolph Jazz Band specializes in swing and big band music, but regularly expands to many sub-genres of jazz. The Randolph Jazz Band operates both as a 18-member big band and a 6-member combo. We can fit into whatever need you may have! Contact us at www.randolphjazzband.com!